Ebony and kiekie blankets for Pauanesia. There is a national exhibition, Creative Fibre Experience, coming up very fast and I thought I should make an entry as I was a selector last year. Well ... I've decided I shouldn't try so hard to make something special for exhibition but to make what I love and set it aside when it excites me. A few weeks ago I acquired a box of 16/2 cotton thread from a friend and the colours spoke to me. 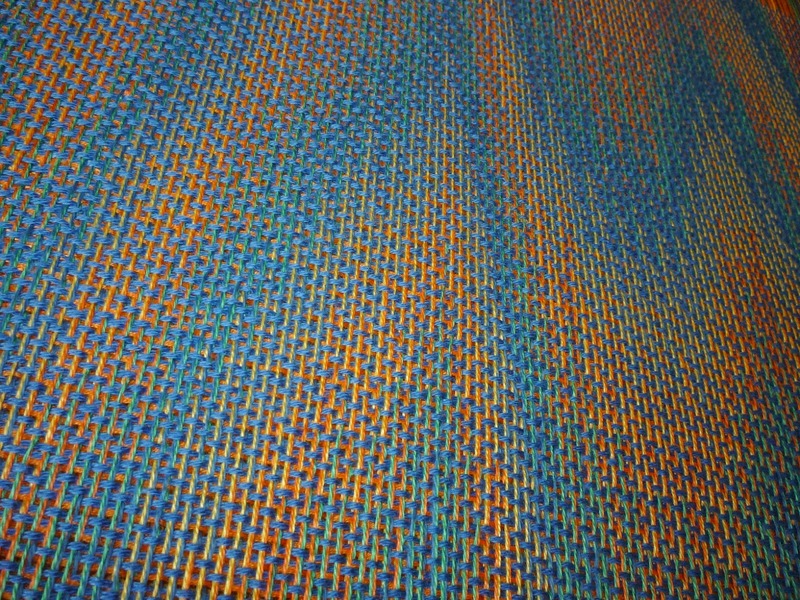 Here it is still on the loom trying a new weave from "Echo and Iris". More information when it is finished and been through the wet bath. 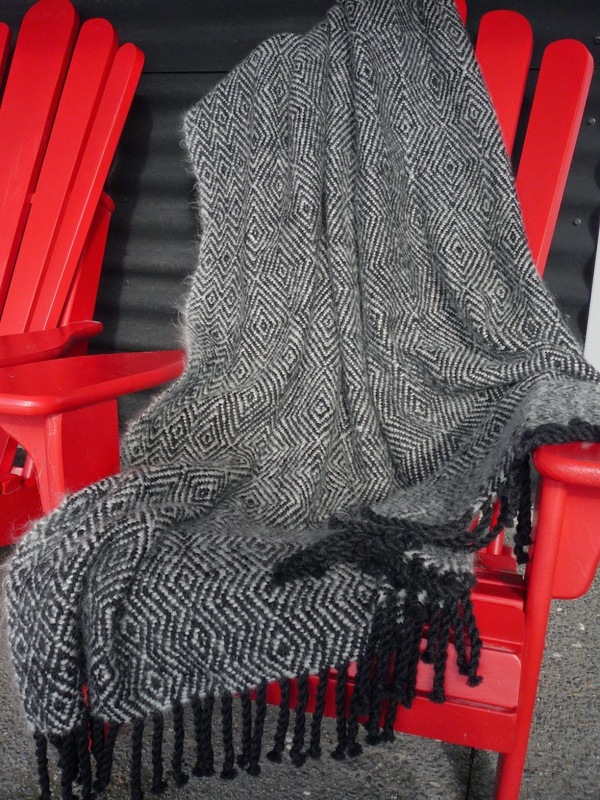 Earlier in the year I bought two lots of sliver from "fibre2go" at the Majacraft Camp in Rotorua. It has been spun and knitted. 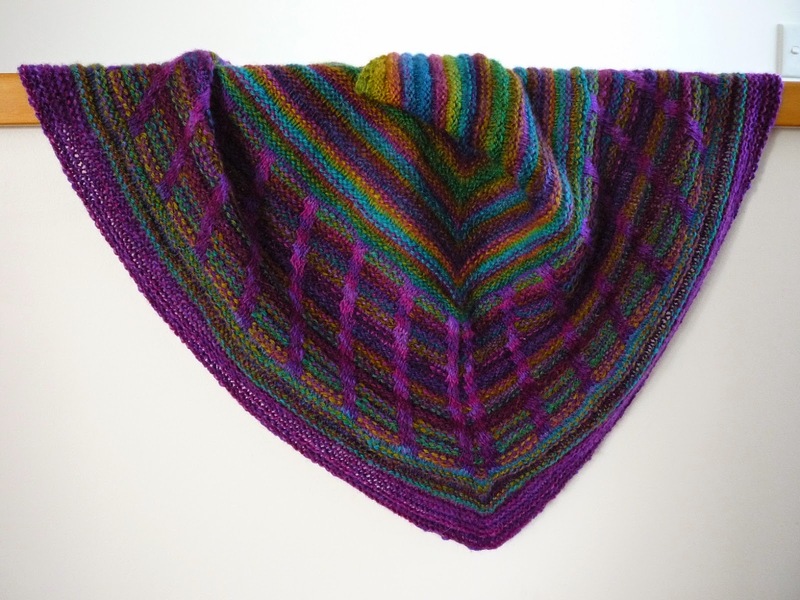 The slivers were called "Jewels" and "Purples" and the pattern is by Stephen West called Metalouse free from Knitty Winter 2012. 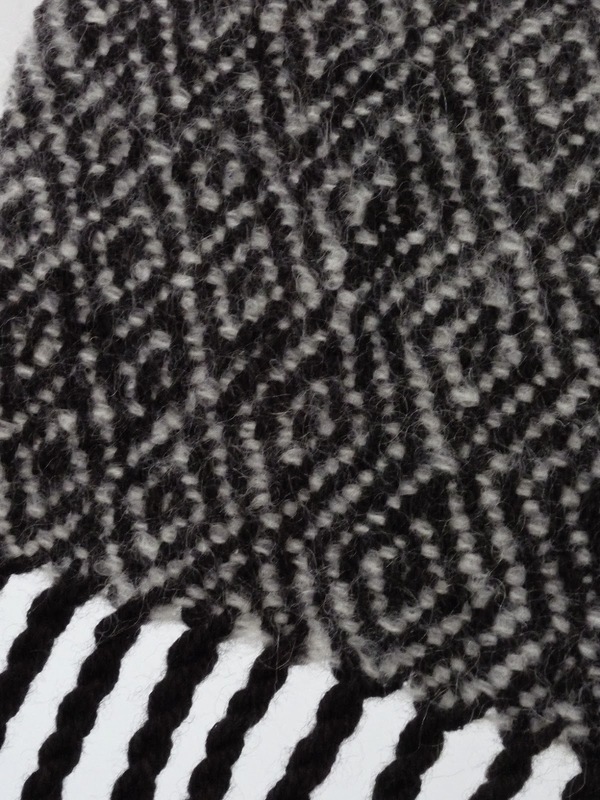 I have a real thing for slip stitch knit patterns at present.